This article is neither solicited nor promotional, and I derive no personal gain from founders joining Founders Network. To be clear, nobody affiliated with Founders Network asked me to write this article; nor did anybody know that I was writing this article prior to its publication. Beyond my paid annual membership in Founders Network, I am in no way affiliated with, nor do I have any vested interest in, Founders Network or its business, its founders, members, investors, or any other entity otherwise associated with, or having a vested interest in, Founders Network. This article is, however, my way of opening the door for the countless other founders around the world whom I know will benefit from joining this spectacular community as I did back in 2012. It’s also my way of giving back to the Founders Network community for all their support, guidance, and compassion, without whom this seven year journey would have surely been a far lonelier experience indeed. I joined founders network in October 2012. That was more than five-and-a-half years ago. (Mind blown.) We had just secured our first round of funding for our first startup when I met Kevin Holmes. Inevitably, Kevin segued, at some point, into his sales-pitch-not-a-sales-pitch suggestion that I join his then-nascent community of founders hailing from all over the globe, and headquartered under Kevin’s watchful leadership in San Francisco. I didn’t even feign an attempt to stop my eyes from rolling (and watering) when he informed me that membership started at some $400(ish) per year for early stage startups like ours. And so, naturally, as any responsible founder would do, I protested and politely declined. We’d only just secured our $700K after all; I wasn’t about to part with a precious 0.05% of it. Well. That was more than five years ago. I never asked for my money back. And I’m still a member. So what is FN, really? I’m writing this article because, while my membership fee is mandatory, an unsolicited testimonial like this is decidedly not. I was grabbing lunch with my wife (I usually work from home; she sometimes does; today we were in sync) when it suddenly hit me that I simply had to write something not only to thank Kevin and the entire Founders Network community, but for all the entrepreneurs around the world who have yet to discover this fantastic community. But it turns out a funny thing happens when one tries to describe a simple thing simply: one finds oneself at a loss for words. Invariably — and without fail — by the time “FN awesome” resonates off my lips, the formerly dubious founder with whom I’m speaking breaks into a broad grin, their eyes light up, and they suddenly get it. Now, I can’t claim to have converted more than one or two new members to the FN community — isn’t that the greatest acronym ever? — but at least I’ve done my part; at least I’ve opened the door for them. Now it’s up to the unknowing founder to just take a leap of faith and trust me, that they really, really, need to join this thing. Ok so what is FN, exactly? In its most tangible form, it’s a community. A group of people with whom you interact via an email group (or alternatively of course, directly through their website). Shoot off an email, and you can expect a response within minutes from at least somebody, somewhere in the world; often Kevin himself. Or anybody else from the awesome FN team like Asha Sreekumar or Briana Okyere (Bri: get on Medium already!). It’s this immediate and simple method to reach out to all members at once … that is nearly priceless in its real, quantitative value. A pause is necessary to emphasize the misleadingly brief paragraph above: This email forum — a singular email address that pings all members in FN — is, for me anyway, the singular greatest value I’ve gotten from my FN membership. When I say that FN is a “support community of entrepreneurs,” it’s this immediate and simple method to reach out to all members at once whenever you have a question; feel like sharing something interesting, or otherwise just want to pick another founders’ brain that has proven invaluable, utterly without substitute in the world, and nearly priceless in its real, quantitative value. Anyway, so that’s the email forum. Beyond that though, there’s so much more to FN that I’ve barely begun to tap, but I’m going to do my best to summarize as much as possible (and hope that Kevin or Asha (or Bri?) will chime in in the comments with more if they’re reading this). I know this is probably why most of you are reading this article. Yes, if you want investors, you’ve come to the right place. FN has a large network of investors with whom it’s built a trusted relationship. All FN members are encouraged to craft their profiles to reflect their startup’s stage; industry; milestones; goals; challenges; and so on. Then, like a veritable matchmaking site between startups and investors, a weekly digest is sent out to all investors who then have the ability to reach out to whichever startup they deem to be a best fit for their portfolios. 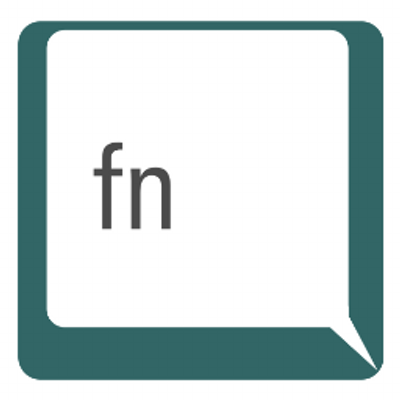 This is FN’s “collection of influential posts from the Network, curated by the staff.” In a loose sense, this is sort of like FN’s own internal Quora: a collection of the best questions and answers as curated from the email group discussions. Brilliant stuff in here. I suspect the second reason you’re reading this article is because you’re interested in networking (but see below for my distinction between a “network” and a “community”). If so, you’ve again come to the right place. FN hosts countless events around the world including investor roundtables (with dial-in); social events and mixers; and so much more besides. And did I mention that their holiday party last year was absolutely phenomenal? I don’t mean that lightly: I’m remarkably unpopular for not being a fan of most startup-themed events; I find them stilted, dry, and uninspired for the most part. Guests dressed to the nines more befitting a Beverly Hills gala than a holiday party by and for a bunch of geeky tech founders. In short then, this was the real deal. No. This was — you guessed it! — FN awesome. The 2017 FN holiday party was held at the spectacular Maritime Wine Tasting in San Francisco’s “Little Italy” commonly known as North Beach. Succulent appetizers overflowed the tables like so much ambrosia; wine poured freely from the heavens, a veritable tap of pure elixir; guests dressed to the nines more befitting a Beverly Hills gala than a holiday party by and for a bunch of geeky tech founders. This was the real deal: gentlemen sported designer jackets and Italian shoes (but don’t worry; no ties! ); ladies exuded elegant sophistication in glamorous dresses and high heels. This was certainly not a side of San Francisco I’d ever seen before, or since. So besides the email group and investors; beyond the networking events and glitz and glamour of the holiday parties, there’s yet more to FN than meets the eye. Consider, for example, the multi-day meet-ups held at spectacular venues around the world, like last year’s FN Summit held at Quail Lodge in idyllic Carmel Valley, some two hours’ drive south of San Francisco. Yeah. FN really is that awesome. I put “vs” in quotes because, as you’ll see below, though similar in some respects, LinkedIn and FN are not in fact substitutes for one another; nor are they mutually exclusive: they are complements to one another. I’m not going to close out this story with some melodramatic bit of prose wrapped in superlatives about the countless deep and meaningful personal friendships I’ve built in FN; the 1700% revenue growth I realized thanks to FN’s help and input; or the $93B Series Z round I raised. Because frankly, while that may have happened to some of the members — and make no mistake, Founders Network members have included the likes of IFTTT, docker, uservoice, match.com, eharmony, and so many more besides — none of that happened to me. Founders Network is the LinkedIn that LinkedIn wished it was; or perhaps a more personal version of AngelList. In a sense, Founders Network is the LinkedIn that LinkedIn wished it was; or perhaps a more personal version of AngelList, if you prefer: a professional network (actually, a “community” — see below) of sincere and genuinely helpful founders willing to directly and personally help however and whenever possible, with no expectation of anything in return. Being on FN is not a game of bragging rights, about reaching that ridiculous “500+” connections label on your profile. FN is not about some misguided sense of accomplishment when somebody “endorses” you for a skill; nor is it about publicly sharing “recommendations” about your colleagues. Don’t misunderstand me: much of my professional career would be all but impossible were it not for LinkedIn. Indeed, FN is decidedly not a 500 million-strong network of professionals around the world; nor is it an easily tapped repository of talent for recruiters to stalk, seek, and seduce, or for job seekers to find their next role. FN is a different story all together because, you see, FN isn’t even a “network” of “connections” at all; FN members have direct access to all other members at all times. FN is a social community and not a network. That’s a big difference. A network presupposes some sort of permissive mechanism to facilitate introductions between two people: think LinkedIn; social mixers, and so on. A community instead implies, by definition, a more communal sort of thing: think FN; your neighborhood; a town hall gathering. While the former presumes a potential ulterior motive — I’m going to hook you up just so you owe me one day — the latter is almost entirely selfless in comparison. People help one another on FN … simply because they care. People help one another on FN not because they want or expect anything in return; they help one another simply because they care and because they want to help, full stop. And that is precisely why I felt compelled to write this piece. I certainly didn’t plan to punch a four hour hole in my day, and several more hours this morning to edit, when I had so many more pressing things to tend to, I can assure you. No. I wrote it because — in light of a truly remarkable outpouring of support in the last several weeks, about which I’ve drafted a story but remain hesitant to publish; let me know if you want me to — I realized that if there’s even the slightest chance I could help other founders to discover and join this incredible community, while simultaneously thanking and giving back to Kevin and the entire FN community, then for sure, I had to try. So thank you Kevin; and thank you FN. I’m not exactly your typical founder-developer. In fact, I’m not a developer at all. Sure, I’m fluent in HTML, and “hackably” competent enough with CSS and basic JS to build Twibble’s current homepage and pricing charts on a (heavily modified) Squarespace template. And, yes, I taught myself (rudimentary — it’s basically just an iframe of HashTest.io) Chrome extension development in one afternoon and scored 3000 installs and 4.1 stars; and I crash-coursed myself in algorithms and Big O in just three days. I can explain what happens when you punch in a website URL into your browser, complete with SYN/ACK requests, and everything else besides; and I’ll even manage a passable job of explaining how RAM, the CPU, and memory controller all work together, down to the direct connections linking the memory controller to the various indices of RAM. But that’s about as close as I get to “developer” knowledge, even as I try to learn Python, Node, and React, just for the sake of knowledge, if not actual hands-on development work. And, oh yeah, I’m a CA-licensed attorney and UCLA Bruin. So there’s that. Go Bruins! !